French fries always take the blame. It is believed that food, like pizza and burgers, causes the unwanted zits resting on our faces. The truth is they do not have the means to produce acne on your face. People having thoughts about eating greasy food can cause more pimples to form because of the increased oil being digested. 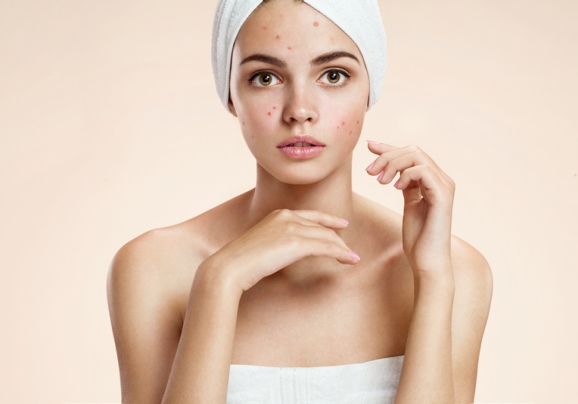 Acne is produced by various hormonal changes. During the puberty stage of a person’s development, a certain hormone called “Androgen” increases, causing sweat glands to produce more oil. It actually makes sense when we think about it. But did you know that even people in their late 30’s or early 50’s can still suffer from acne? Stress and menstrual periods, for example, can cause hormonal changes, hence the zits that you see on your face. Most of us cannot resist the temptation of squeezing the ripe ones upon the first glimpse in front of the mirror. Put your fingers down! The truth about popping pimples is that it will lead to skin trauma, more bacteria, and more damage to the skin, making the pimples even worse! When this happens, please visit our Family Clinic in Arlington Texas for proper interventions. Pollution is indeed nasty. It gives you this unnecessary coating of filth on your face. Pollution is just one of the many things that makes our body dirty. Contrary to this prevalent belief, dirt does not produce more acne. Again, it is caused by a pore clogged by dead skin, having more natural oil being secreted and trapped, leading to inflammation. There are also some environmental factors that can contribute to pimple formation. Washing our face naturally removes the unwanted dirt and gives us the feeling of freshness in our face. It is logical to believe that when we wash our face, it cleans off the excess oil. Hence, acne formation is less likely to happen. This is false! The oil on our face actually protects our skin. If there are harmful elements trying to harm the face, the oil blocks them. Yes, our facial cleansers definitely get the job done, cleaning off the oil on our face. But it leaves our skin exposed to potential bacteria, making it worse. Perhaps this is why we try all sorts of facial cleansers and still not get the desired results. Your skin deserves the best care! At our Treat Now Family Clinic, we are more than willing to assist you. We also provide you with the most quality Family Medical Clinic services for all your unique needs. If you want to know more about Treat Now Family Clinic, please do not hesitate to call us at 817-633-4300 or visit our website at www.treatnowfamilyclinic.com. This entry was posted in Acne and tagged Acne Formation, Face Care, Myths About Acne, Skin Care. Bookmark the permalink.